Please call if you have any questions and we will be happy to talk with you. By Walmart MoneyGram: This is a service offered by Walmart. 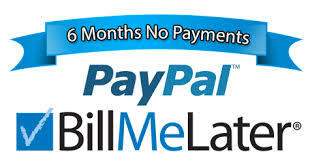 Payments of between $51.00-900.00 are charged a low fee to the sender. We would request that the money be sent to Renee’ Nanez. You would then send a reference number to us to verify payment before shipment is made. Please let us know in advance if you choose to pay by this option. For more information: https://www.walmart.com/cp/online-money-transfers/1089406 .